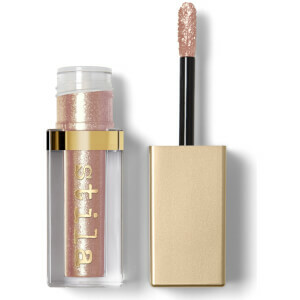 Achieve show-stopping, professional results with Stila's Shimmer & Glow Eyeshadow; a lightweight, buildable liquid formula with a glimmering finish. Combining a translucent, adhesive base with smaller pearl particles, the water-infused eyeshadow melts effortlessly onto the lids to deliver beautiful lustre and long-wearing color that dries smoothly with minimal fallout. 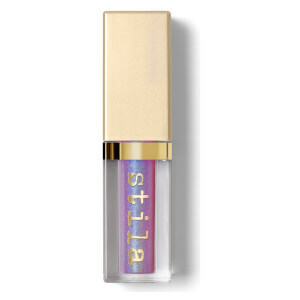 Can be worn alone or layered over powder eyeshadow for a custom makeup look. Water/Aqua/Eau, Mica (Ci 77019), Aluminum Calcium Sodium Silicate, Silica, Hydroxyethyl Acrylate/Sodium Acryloyldimethyl Taurate Copolymer, Calcium Sodium Borosilicate, Squalane, Polysorbate 60, Caprylyl Glycol, Phenoxyethanol, Glycerin, Triethanolamine, Tin Oxide, Carbomer, Sorbitan Isostearate, Hexylene Glycol. (+/-) Titanium Dioxide (Ci 77891), Iron Oxides (Ci 77499), Carmine (Ci 75470). *Contains Carmine as a colour additive.